"Anna Hazare is suffering from weakness and other health issues due to lack of blood supply to his brain," a doctor who examined him said. Social activist Anna Hazare was today admitted to a hospital in Maharashtra's Ahmednagar after he complained of weakness, which doctors later found was due to lack of blood supply to his brain. He had broken his 7-day long fast last week, persisting in his demand for appointment of anti-corruption watchdogs. "Anna is suffering from weakness and other health issues due to lack of blood supply to his brain," a doctor who examined him said. 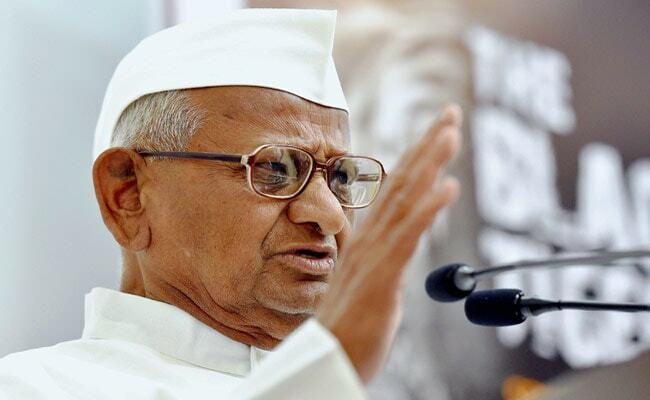 Anna Hazare, who lives in Maharashtra's Ralegaon Siddhi village, was brought to the hospital in the morning. He underwent an MRI (magnetic resonance imaging) scan at a diagnostics centre. He was later admitted to the hospital, his aide Shyam Asawa told news agency PTI. He added that Anna Hazare had been suffering from neurological problems since the last two days.